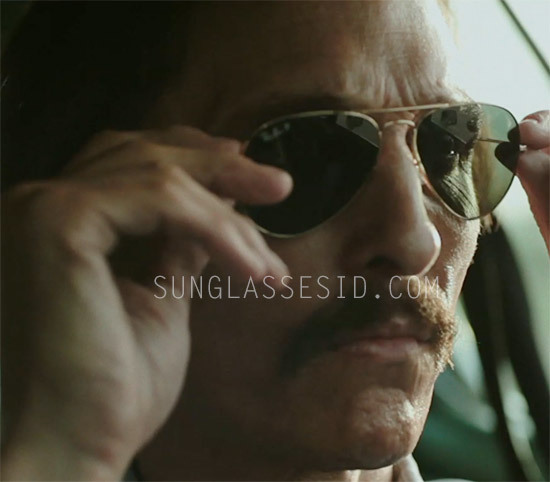 Actor Matthew McConaughey wears Ray-Ban 3025 (also known as the Ray-Ban Aviator) sunglasses in the 2012 film Dallas Buyers Club (2013). 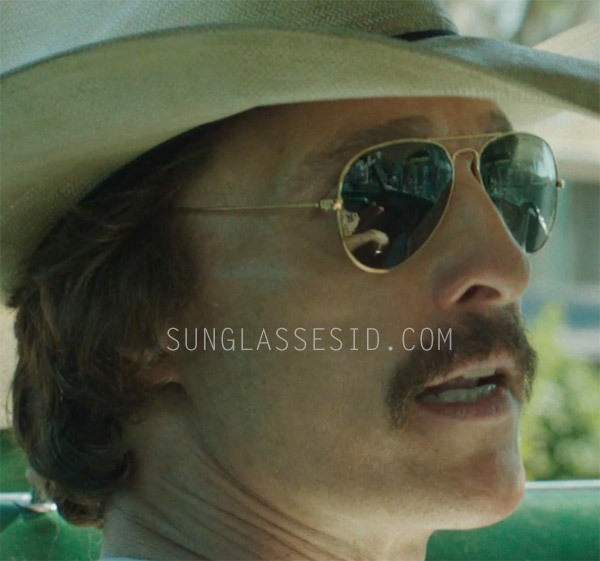 The exact color of the Ray-Ban sunglasses that McConaughey is wearing seems to be Gold (arista) frame with Gray Polarized lenses, color-code 001/58. The P for 'polarized' can be spotted next to the Ray-Ban logo on the lens.